Here at Long Stems we have had a busy New Year! We have created a whole new website full of custom brand new items! We have broken down our items into exclusive categories. We are featuring the Spring Collection that uses plenty of local spring blooms. We are launching a new Romance Collection perfect for Valentine’s Day gift ideas. We are also launching a new Prom and Formal Collection, featuring custom nosegays, corsages, and boutonnieres. Here at Long Stems we get most of our spring blooms from local flower farms in new jersey. Van Dyke Farms located in new jersey grows tulips, iris, allium, and many other spring blooms. They are one of our largest spring supplier. Long Stems also gets a lot of spring flowers from Canada. Northland Floral is a Canadian farmer network based near Toronto. Northland supplies us with many of our ranunculus, hyacinth, hydrangea, snapdragon, and other spring blooms. Spellbound (Above) - bright and vibrant blooms will leave your sweetheart breathless. 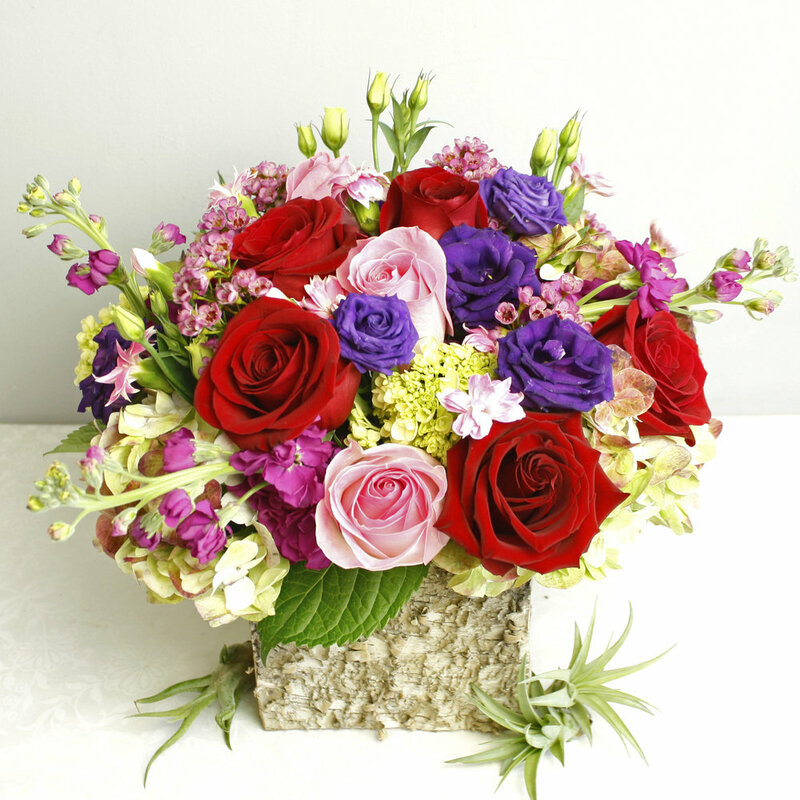 Valentine’s Day is just around the corner and there is no better way than to show your love than with fresh flowers. Browse our Romance Collection to select the perfect Valentine’s Day or anniversary gift. Long Stems has been providing the Greater Philadelphia Area with fresh cut flowers for over 40 years. We deliver daily to Merion Station, Penn Valley, Ardmore, Philadelphia, Radnor, Wayne, King of Prussia, and so much more, over 200 towns and cities. Launching our new Romance Collection has been great. We love working with all the vibrant and romantic blooms to create unique and wonderful arrangements perfect for Valentine’s Day or an anniversary. Roses, Calla Lillies, Hydrangea, Tulips, and more, our Romance Collection has unique and vibrant arrangements perfect for anyone’s sweetheart. 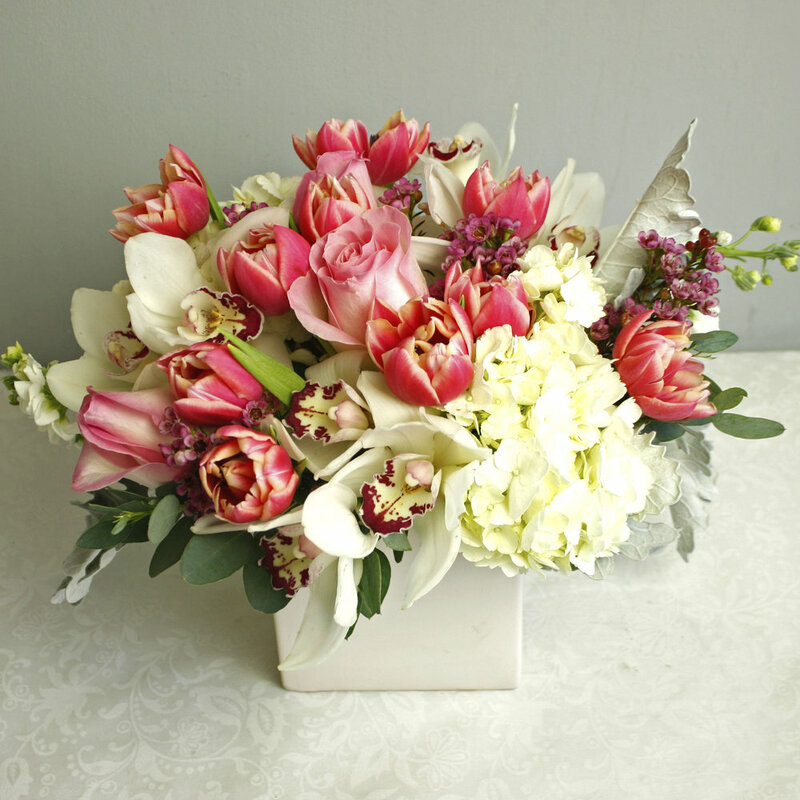 Show your love with a fresh bouquet delivered right to your door from Long Stems. If you have any questions please feel free to call our store at 610-664-7352, our talented design staff will be more than happy to assist you and make sure you get exactly what you are looking for! With our brand new Prom and Formal Collection you can shop for nosegays, boutonnieres, and corsages. Our new collection of nosegays are available from $50-$150, select from over a dozen different styles. Prom and Formal Collection makes ordering easy. select from our custom collection of nosegays, corsages, and boutonnieres. Please browse our prom and formal collection for the perfect flowers to match your date's suit or dress. If you have any questions please call our store at 610-664-7352, our talented design staff will be more than happy to help select the perfect flowers just for you! We would love to help you get the perfect prom flowers for your date. If you don’t see exactly what you are looking for please call our store at 610-664-7352 and we would be happy to create a custom and unique piece just for you!